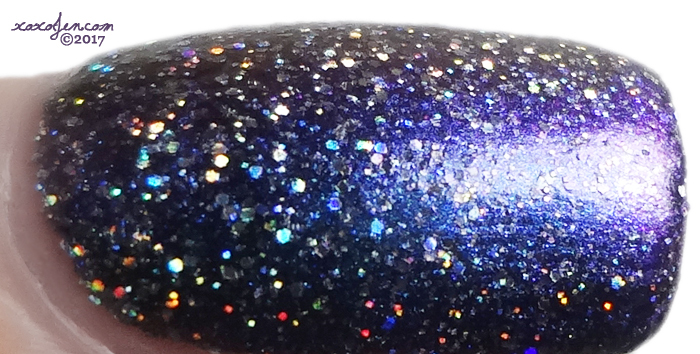 Who’s ready to see KBShimmer Polish Con exclusives? We Make Your Dreams Come Blue & Grand Prospect Holo are both beautifully shifty polishes only available at Polish Con NYC April 29th. An amazing multichrome that shifts from a dark teal to bright aqua to purple to navy and at some angles and dimmer lighting you can see a reddish-bronze shade. It’s packed with holo microglitters resulting in a super sparkly shifty manicure that looks different every time you look at it. I wore just two coats and although it is mostly smooth to the touch, I added topcoat to seal it in and give a glossy shine. I enjoyed wearing the polish for about a week, turning heads here and there. The polish really did a number on my camera, so I took a few shots that are oddly lit, but really show off a bit of how the polish shifts. For reference, the first shot of each pose is taken in my usual lighting. An icy blue jelly base loaded with holographic microflakes and stunning turquoise shimmer. This polish just glows from within, which is why its my favorite of the two here. I wore two coats with topcoat for a glossy shine. 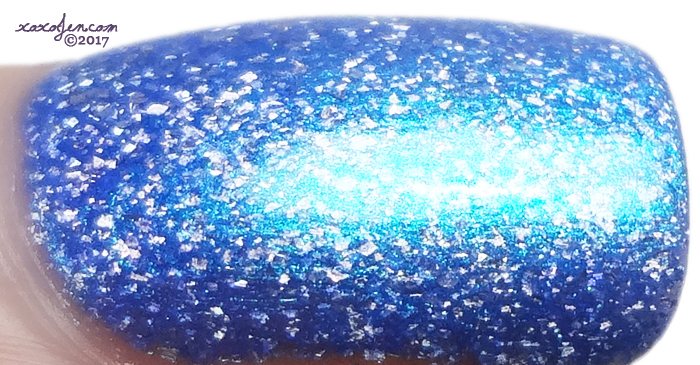 In addition to these Polish Con exclusives, KBShimmer will have a full display of current polishes as well as bath and body treats to purchase. The exclusives pricing is $9.25ea.